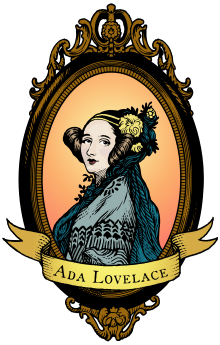 Nerd Girl Army: Happy Ada Lovelace Day! An illustration inspired by the A. E. Chalonportrait created for the Ada Initiative, which supports open technology and women. Ada Lovelace is touted as the first computer programmer, and a female one at that. On Ada Lovelace Day we aim to raise the profile of women in science and technology.